India D esign Mark recognizes and evaluates good design through a systemized process. The specific Mark reflects virtues of good design in Indian context and can be used as a symbol of distinguished excellence of the product. India Design Mark is granted by India Design Council – an autonomous body, established by the Government of India. 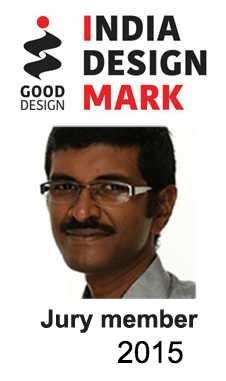 Ramesh Manickam (CEO & Design Director, Centroid Design) is on the selection jury of India Design Mark in 2015.